In 2018, China’s acetone prices fluctuated upward from a relatively low level. In H2, 2018, China’s benzene and propylene prices fluctuated upward, and some phenolic ketone units experienced maintenance. Accordingly, China’s acetone prices greatly rose in H2, 2018. Up to 2018, China’s acetone capacity reached 1,580kt/a, so China’s self-sufficiency degree of acetone obviously improved. There is newly added acetone capacity in China, how has the acetone market pattern changed? In the future, China’s acetone capacity will further expand. After the expansion, how should the market supply-demand fundamentals be balanced? How will the downstream users operate, and what changes will happen to the market? How will China’s acetone market develop in 2019, what factors will affect and restrict the market? SCI 2018-2019 China Acetone Market Annual Report will analyze these items one by one. SCI has been engaged in the bulk commodity market analysis for 15 years. 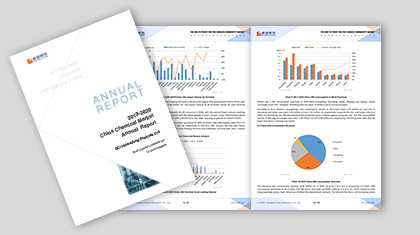 Based on the industrial data and information, this report analyzes the acetone industrial chain from the macro economy to the downstream industries. Besides, this report presents the past trend, current status and future forecast in order to provide the most valuable market analysis for the market participants. 1 To summarize the gains and losses in the market operation process via analyzing China’s acetone market. 2 To find the future development direction via analyzing the supply-demand pattern change in China’s acetone market. 3 To analyze the acetone status in the industrial chain via comparing the value chain. 4 To forecast future acetone market in order to grasp market opportunities better and earlier.